Notes: This title is also available both individually and as part of The Premiere Collection boxed set (both with different cover art) in the DVD format, and was given an incredible release in the same format by The Criterion Collection. 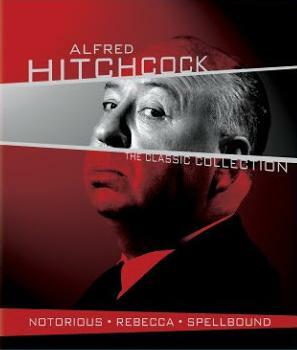 This Blu-ray disc is also available as part of a three film set entitled, The Classic Collection. While this is certainly a valid opinion, it would be a mistake to ignore the fact that Hitchcock’s fingerprints can be found throughout the length of the film. Hitchcock was even interested in purchasing the rights to Daphne du Maurier’s source novel while he was still working in England but the cost of the property was prohibitive. 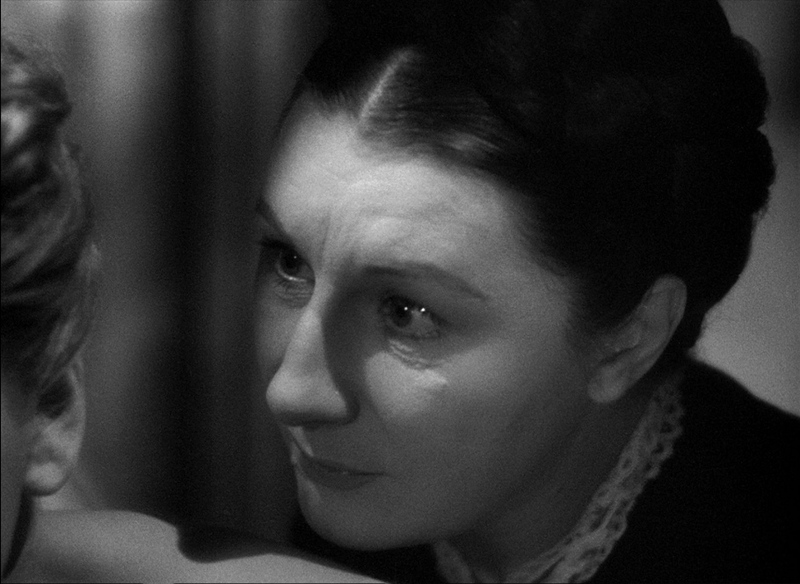 Something about the material must have appealed to Hitchcock’s sensibilities considering the fact that the film contains elements that would appear again in Hitchcock’s later work. It is my personal belief that what works in the film seems to belong more to Hitchcock than to Selznick. This may be an oversimplification, but Selznick’s insistence on fidelity created a more literary melodrama that is indeed more prolix than is typical of a director who prefers to tell his stories visually. Another unfortunate side effect of Selznick’s meddling is the sometimes overwrought and syrupy score by the talented Franz Waxman. Selznick obviously didn’t trust Hitchcock’s wonderful visuals to make their point and musical punctuation overwhelms what might have been poignant subtleties. The production values also seem to belong to Selznick. Rebecca has a gloss that is tonally different than even the glossiest of Hitchcock’s later films. Whether this is a good or a bad thing will depend on the viewer. 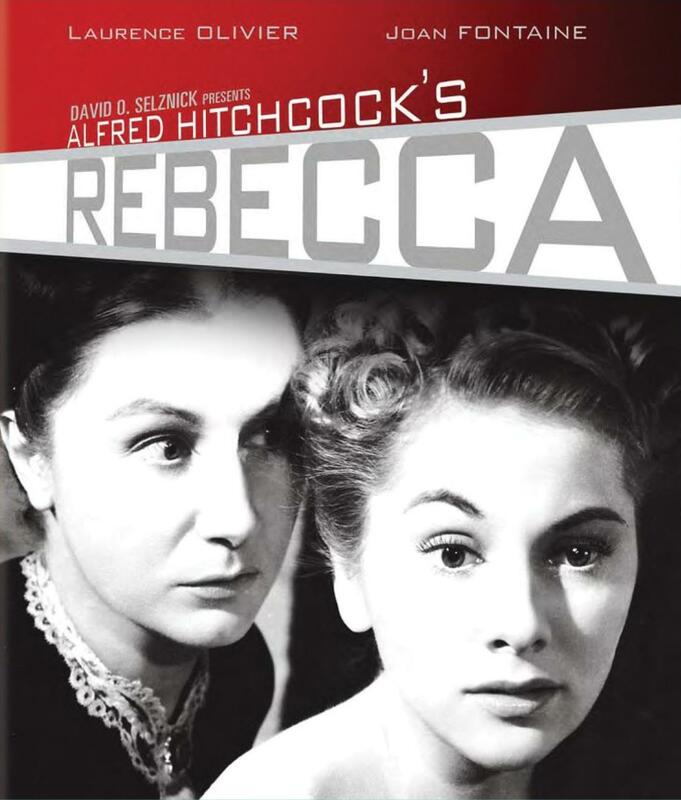 Rebecca is required viewing and marks an extremely important benchmark in not only Hitchcock’s career but also his artistic evolution. The stormy production created by a thunderous clashing of two giant egos resulted in more than a great film. It resulted in the creative growth of an already brilliant director. The disc is contained in the standard Blu-ray case with reasonably attractive cover art. It is nothing earth-shattering, but the artwork is more attractive than MGM’s DVD release of the same title. There is no menu on the disc. To access the special features or change the audio settings, one must do so while the film is already playing. This is rather bothersome and terribly inconvenient. Some people might not mind this issue, but this film deserves a much better presentation. The 1080P transfer looks surprisingly accurate on almost every level. Contrast is lovely with admirable shadow details. Black levels are fairly rich and accurate as well. The transfer also seems to maintain the film’s natural layer of grain which enhances the cinematic look of this classic. The picture is very often quite soft, but this was the trend of the day and the look served David O. Selznick’s sensibilities. There is also occasional dirt and scratches on the source print that keep this transfer from being perfectly pristine. However, these issues are never distracting. The 24-bit 2.0 English DTS-HD Master Audio track serves the film well and seems to accurately represent the intentions of the filmmakers. The now antiquated soundtrack seems to be free of the hiss and pops that one comes to expect with older films. The lossless mono mix is certainly the strongest track that Rebecca has ever been given on home video. Mr. Schickel’s commentary is rather sparse and he seems to be rather bored as he mumbles through this particular track. He does not say very much and what he does say usually isn’t rich with information (although there are a few minor exceptions). Film historians discuss the uneasy relationship between David O. Selznick and Alfred Hitchcock during the making of the film. It offers more generalized “behind the scenes” information than many of the more comprehensive documentaries of its kind, but there is enough information to make the viewing experience rich and rewarding. This is probably the best supplemental feature on the disc. This is an extremely interesting look at the author of the film’s source novel. While one cannot claim that this featurette is particularly comprehensive, it does provide enough information to increase one’s understanding and appreciation of Rebecca. While it is nice to have a few of the screen tests made during the casting period of Rebecca, it is disappointing to note that there are many screen tests that are simply not included here. The Criterion Collection’s amazing 2 disc DVD release of Rebecca included quite a few tests that are not included on the MGM releases. Criterion saw fit to include test footage of 5 different actresses (Margaret Sullavan, Vivien Leigh, Anne Baxter, Loretta Young, and Joan Fontaine). MGM includes some of the footage from Margaret Sullavan’s test and one of Vivien Leigh’s screen tests (which includes Laurence Olivier). There is quite a bit of footage of both of these actresses included on the Criterion release that is not included on this disc. I must admit to being a little disappointed by this. However, the footage that MGM has seen fit to include is extremely interesting and enlightening. These interview clips may sound familiar to those who have read Truffaut’s book length interview with Hitchcock, but it should remain interesting regardless. This audio-only feature plays over a blank black screen. This is a brief excerpt of Hitchcock’s interview with Peter Bogdanovich. Hitchcock is always interesting and this is no exception. Again, the audio plays over a blank black screen. The interview is not as great (or as comprehensive) as Truffaut’s, but it is always nice to listen to Hitchcock as he discusses his films. This trailer seems to be a re-release trailer for the film instead of the one used for its original release. It is always nice to see vintage trailers included on a disc and this is no exception. This feature allows audiences to experience the film with only the music and sound effects. These radio plays are interesting, but they have nothing on the actual film. The beginnings of these programs include a list of credits and then the audio plays over a blank black screen. Fans will want to hold on to their Criterion discs for the wealth of supplements included on that release, but they should also welcome the two short documentaries that are provided on this disc. This Blu-ray release is a substantial upgrade from previous releases in terms of picture and sound quality and earns an easy recommendation.